In the age of big data, we are generating far more digital information than we can possibly store globally. Whether it is photos, photoshop files, or other types of media, everything is moving to cloud-based storage that is a must-have for nearly everyone now. By 2020, the analysts from IDC predicts the digital universe - the data we create and copy annually will reach 44 zettabytes (Zb) or 44 trillion gigabytes (Gb). The only logical response to this data deluge is to create more ways to store and maximize all this information. Our client is a Germany-based company in the media and entertainment sector. 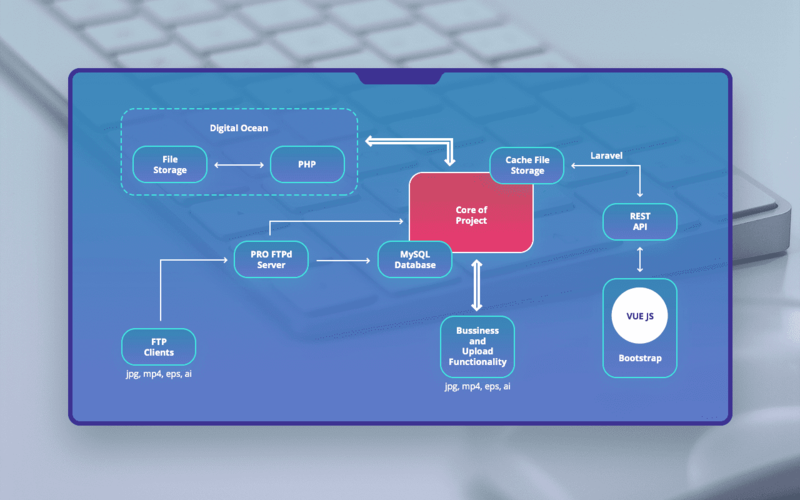 The most crucial requirement for the client was to develop a cloud-based media file storage designed to store, manage, and deliver digital media content faster in an agile, dynamic and cost-effective manner. The client was looking for a reliable and highly skillful team who would be able to deliver a cloud media solution that provides the levels of scalability and flexibility to serve media consumers better. There are a great number of licenses with special characteristics in the media industry. Our team faced hurdles when designing overall architecture for the diverse types of media data licenses. Connecting media data service with a third-party ProFTPD solution to limit space when uploading through FTP caused some problems. 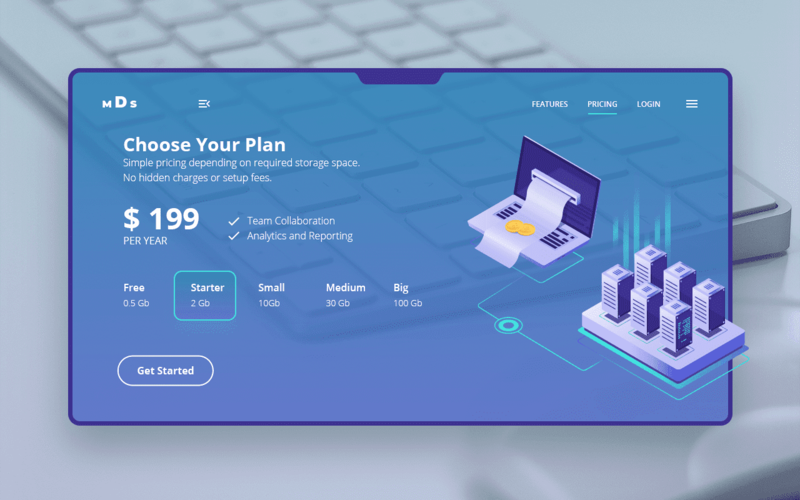 When working with a large amount of data, we selected an easy-to-use DigitalOcean cloud-based platform as a place for data storage. We used Scrum to break a project into manageable pieces for effective project completion, and Kanban to visualize the stages of development. Payment gateway integration with Stripe provided an extremely easy way to collect payments. Successfully applied advanced technologies allowed to display interactive, dynamic content with custom layouts that increased usability, reliability, and performance. We used the following technologies and tools to develop a media data storage: Laravel, Vue.js, MySQL, Stripe Payment system, JSON Web Tokens, Node.js, ProFTPD, Bootstrap. Below we have presented some key features of the media data storage. Let’s delve into details! There is a diverse range of pricing strategies to choose from. To maximize profits along with retaining your consumer, it is desirable to make sure you choose wisely the pricing strategy. Making this decision is a crucial component in any business. 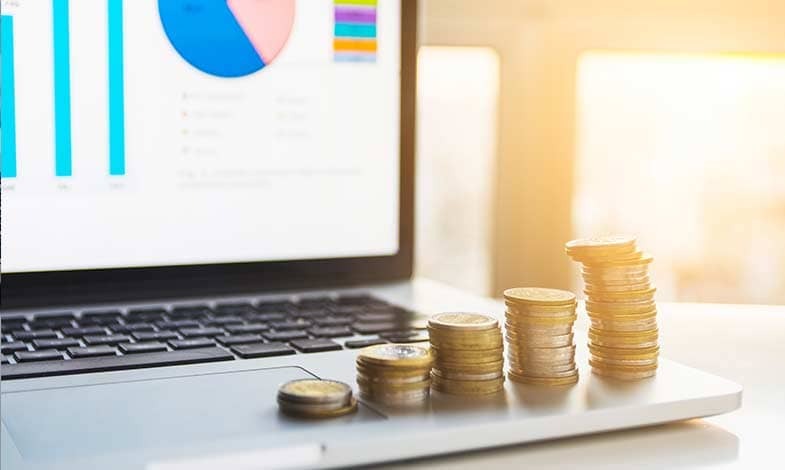 Our team has easily implemented a pricing strategy without hidden charges that helped our client to succeed in a competitive media and entertainment market. There are five different pricing plans you can choose from: Free, Starter, Small, Medium and Big. Each plan depends on what your budget is and how much storage space you need, as well as other options like team collaboration, analytics, and reporting. You can choose a good fit based on your needs. Also, media file storage service enables you to start a free trial in a snap. 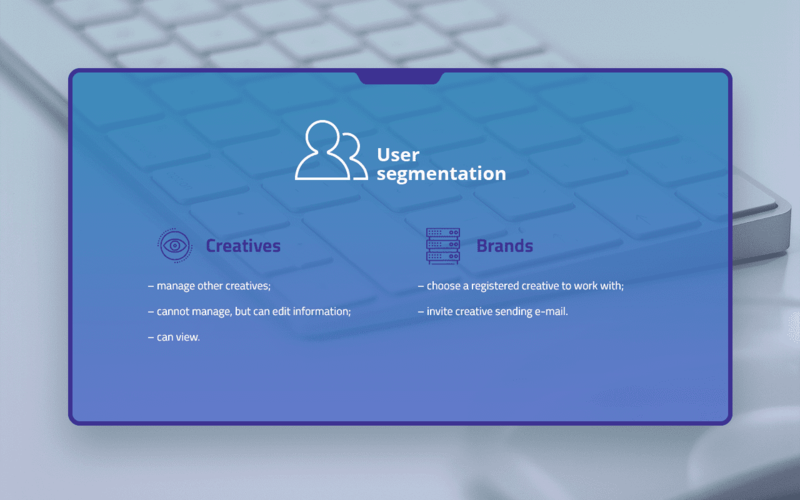 Differentiating users allows our client to be more relevant and better solve each customer's specific problems and effectively serve a wider group of people who are interested in cloud-powered media data storage solution. FTP (File Transfer Protocol) remains a flexible and popular choice to download or upload files, queue and transfer large batches of data, support paused and resumed transfers, limit transfer rates. Our team has implemented an SFTP-based solution that provides data-in-motion encryption and enables to upload a wide number of media files based on the chosen pricing plan. When uploading media files, the service retrieves metadata embedded in the files. Metadata summarizes basic information about data, such as author, date created, date modified and file size. 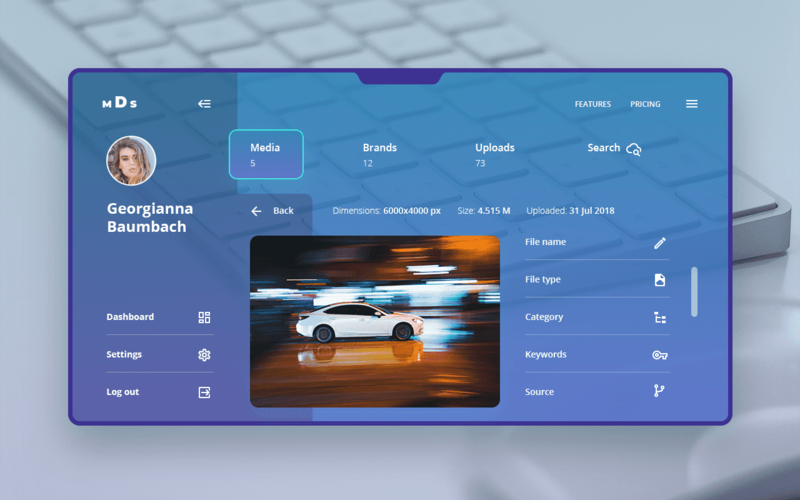 Retrieved data can be used later to give users more information about their media files, sort or edit information so that users can change the image's information, etc. That makes the process of finding and working with particular instances of metadata much more easier and fast. Managing media file licenses can be a daunting task. A great number of brands globally rely on our service that helps them avoid overspending while ensuring that they are fully compliant with licensing rules. 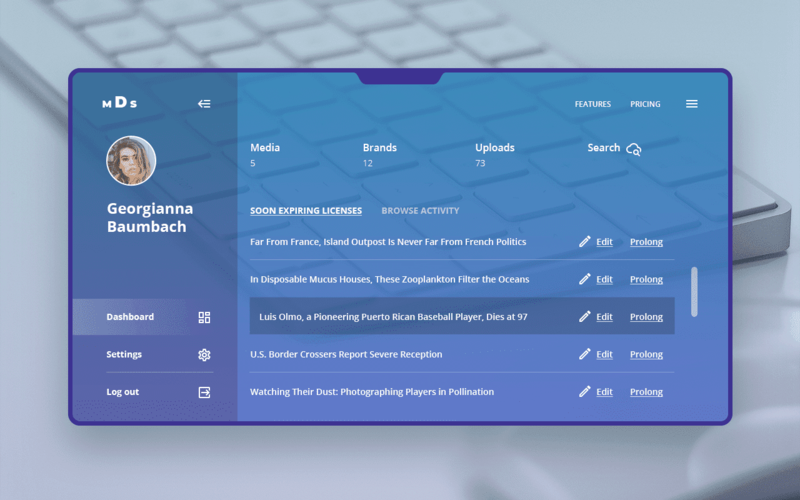 Our media file storage solution empowers brands and creatives upload the bills of the licenses, drill down to granular license details on their own, provides the ability to monitor licenses with a 360° view, especially their expiration date, from their dashboards, or run reports based on their selections and discoveries. With email notifications feature, as a type of triggered email that requires a response to specific user action, users are kept up-to-date about relevant events, but also can quickly ignore, delete, or even flag as spam messages if they are repetitive or do not add value to how they interact with a media file storage. That’s why we made strategic choices about what to send, and how often that helps to keep users engaged. 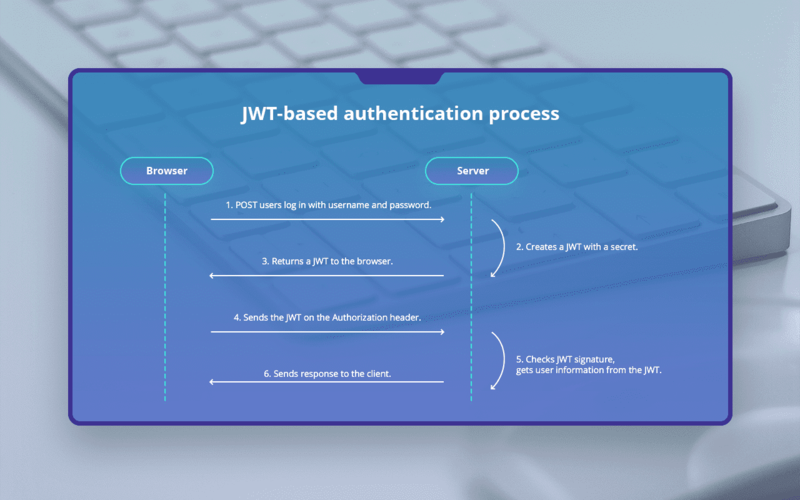 We used the most popular today's concept a JWT-based solution that allows granular security and lets you store encrypted information in verifiable tokens. These tokens will be then used for authentication and authorization to grant access to protected routes, resources or services. 1. POST users log in with username and password. 2. Creates a JWT with a secret. 3. Returns a JWT to the browser. 4. Sends the JWT on the Authorization header. 5. Checks JWT signature, gets user information from the JWT. 6. Sends response to the client. From laptops to desktops, tablets to smartphones, you can access media files on a daily basis with the cloud-based media data storage solutions. Our storage service protects media information, ensuring no unauthorized users can access the files. Our service can identify cost reduction opportunities by recovering and reallocating unused or expired licenses. With media file storage solution, brands gain insight into all media file licensing purchased with the intent on optimizing future return on investment. It is not a secret that cloud-based media file storage service is the preferred method to remotely maintain, manage, and backed up data. 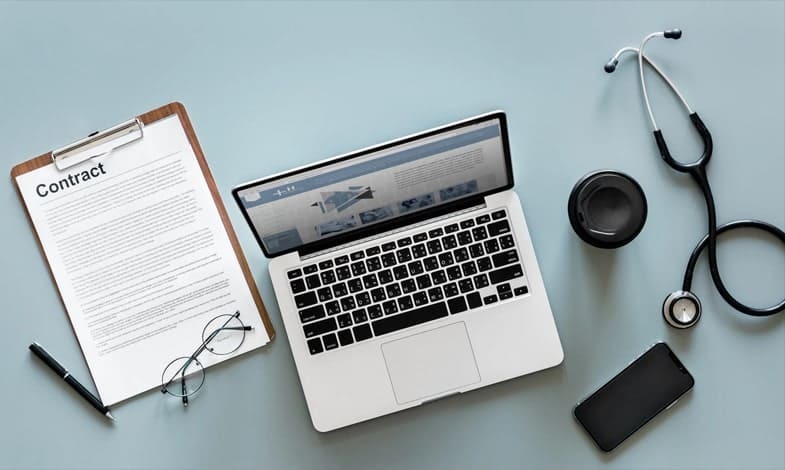 More people are experiencing a number of benefits from cloud-based storing their data, including cost savings and the ability to access data from anywhere. 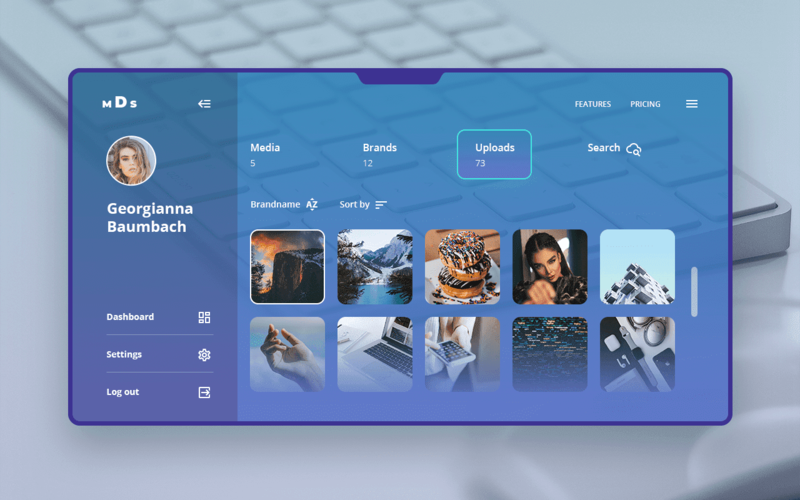 DDI Development team has successfully completed the cloud-based media data storage solution, and our client was pleased with the project solutions and results. Having solid experience and great expertise, our technical experts provide topnotch cloud, mobile and web solutions for a diverse range of business verticals that help to boost revenue and drive business growth.